Packaged in an easy-to-handle art portfolio, each resource kit includes a variety of materials necessary for a successful lesson employing the SEEC approach to teaching. Each kit contains art prints, children’s literature, and objects along with lesson plans appropriate for the classroom or museum. A World of Lines starts with a children’s classic in literature, Harold and the Purple Crayon by Crockett Johnson. Children explore the many types of lines that make up the world through simple objects such as yarn, string, and pipe cleaners. Reproductions of art works by such artists as Jackson Pollock, Pablo Picasso, Henri Matisse, Wassily Kandinsky, Piet Mondrian, and Wayne Thiebaud broaden the exploration. Lesson plans are included with language, science, music, and motor activities as well as extensive art enrichment activities. This ecology-based kit provides a unique look at a popular subject. Lynne Cherry’s The Great Kapok Tree provides an emotional connection to this unique environment. Children explore artists’ perspectives on the rainforest by investigating the work of such artists as Henri Rousseau, Martin Johnson Heade, Frederick Edwin Church, and Frank Stella. Simple objects such as artificial fern leaves offer multi-sensory experiences that make the rainforest environment come alive for children. Lesson plans are included with language, science, music, and motor activities as well as extensive art enrichment activities. Artful Cooking uses the text from Maurice Sendak’s Chicken Soup with Rice as a starting point in a conversation about the diversity of food. This kit connects art reproductions from artists such as Pablo Picasso, Wayne Thiebaud, and Andy Warhol to simple objects like chopsticks and a soup spoon. Lesson plans are included with language, science, music, and motor activities, as well as art enrichment activities. Architecture is all around us, and with this kit you can take a close look at the different shapes and patterns found in construction. Read Rebecca Rissman’s Shapes in Buildings and discover architecture’s functional and artistic purposes. Create your own structures using simple objects such as foam blocks and Wikki Stix made from wax. Further explore the aesthetic side of architecture through the works of artists such as Sol LeWitt, Claude Monet, and Edward Hopper. Lesson plans are included with language, science, music, and motor activities, as well as art enrichment activities. The Museum Connection provides information and techniques to engage young children in meaningful experiences in a museum setting. Children learn through exploration and discovery, and are thrilled by the opportunity to actively participate in learning about their world. 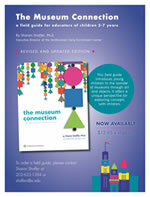 Museums and cultural institutions offer a unique environment to engage a young child’s mind. 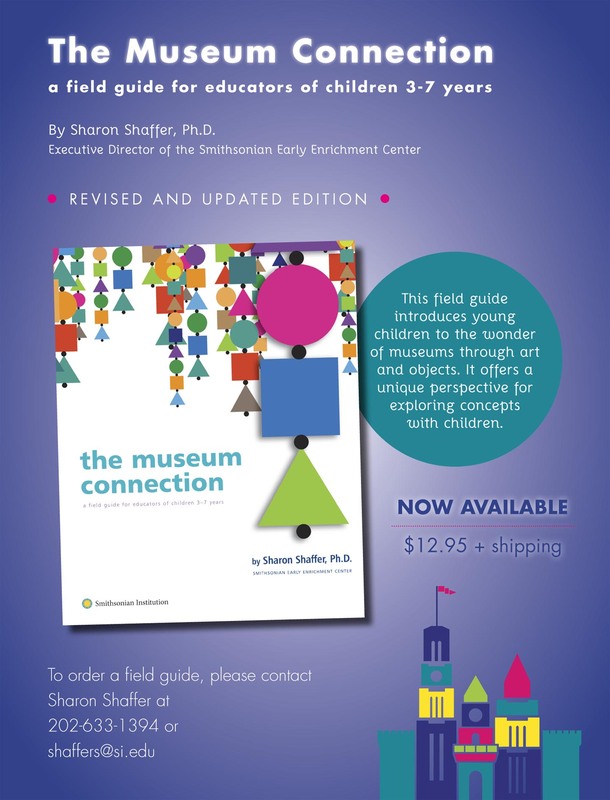 This field guide outlines the key educational concepts strengthened through museum learning, as well as techniques to introduce young children to artists, object based learning information and tips, and strategies for planning a museum visit (including a planning worksheet).